McCall's Air Conditioning & Heating is proud to serve the Gilbert community! About Gilbert, AZ - Happy to be your hometown Heating & Air Conditioning Contractor! Gilbert is a town located in Maricopa County, AZ, and it was formerly known as the world’s hay shipping capital. As of 2010, the city’s population was approaching 210,000, making it the most populous incorporated town in the U.S. The town is made up of 76 square miles of total area, and it is located southeast of the state’s capital city of Phoenix. Gilbert is known for its subtropical desert climate with extremely dry, hot summers and warm winter months, and summer temperatures are commonly over 100 degrees Fahrenheit. 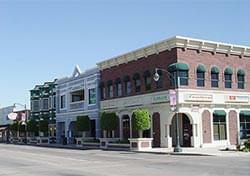 Gilbert is home to several attractions that may be of interest to residents and visitors to the area. Nature enthusiasts may enjoy spending the day at the Riparian Preserve at Water Ranch or Freestone District Park. Visitors may also enjoy spending the day at the Gilbert Farmers Market, Gilbert Historical Museum, or the Hale Centre Theatre.